Increasingly, enterprises are partnering with colocation providers like inacom rather than operating in-house facilities to support IT growth and reduce costs. Colocation with inacom offers peace of mind with purpose-built facilities featuring security, 24×7 monitoring, and fully redundant power and backed by uptime service level agreements (SLAs). Use enterprise-class data center facilities at prices any small business can afford. Join the many companies who have selected inacom to reduce their burden of data center operations and let us successfully deliver reliable mission-critical data center services at a scale unmatched by anyone else. Inacom is reliable and easy to work with. Inacom is a great data center hosting company with expert service. These guys do what it takes for their customers. They offer flexible solutions and always have provided my business with great service, security, and reliability. I've used a couple of their data center competitors for small business in the past and Inacom is the best for what our needs are. inacom is Northeast's South Shore premier per U colocation datacenter in Rockland, Massachusettes. •Shared 4-post rack space between 1U to 10U cabinet. •Includes one Gigabit Ethernet port and one switched PDU outlet. •8x5 "business hours" escorted site access. •Dedicated enclosed cabinet rack space. •Dedicated PDUs with flexible per-amp power metering. •Connectivity options from multiple providers. •Facility-wide UPS and standby generator. •Aggressive service level agreements that favor the customer. Shared rack space is available between 1U and 10U for colocation solutions that only require a small amount of equipment in simple configurations. Shared space includes a remotely switched outlet, Gigabit Ethernet port, and 2 amps of 208V single phase power. Additional outlets, ports, and power is available. 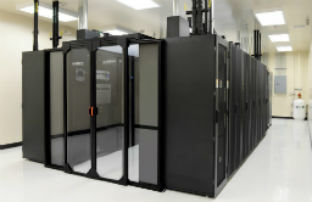 Full and half rack space is available for standard colocation solutions. Half racks share a top/bottom split rack of 20U each while full racks are 42U. All PDUs for full and half rack colocations are individually breakered with metered PDUs included (switched optional). All critical load power in our facility is protected by a facility-scale double online UPS system and automatic standby generator.